The following forms and instructions are in Adobe Acrobat “PDF” format. The forms work best with newer versions of the free Adobe Reader software. Many computers have this software installed, but visit the Adobe Reader download site if you need to download Adobe Reader. Please check system requirements to determine the best version of Adobe Reader for your computer. These free versions of the Adobe software allow printing of completed form pages – but not the saving of completed pages to disk. You can also get information about and download tools for the visually impaired, including an accessible .PDF reader, from the Adobe Systems Accessibility Tools web site. If you are experiencing difficulties in printing any of these forms, please refer to this technical document on printing from Adobe. 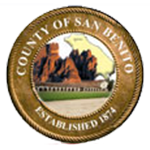 On this page, we provide links to the most commonly used campaign finance forms, in San Benito County. This is not a complete list. For a listing, and links to all campaign Finance forms, please review to the Secretary of State’s Forms page. The Candidate’s Handbook for the November 6, 2018 Statewide General Election is available here. For past Candidate’s Handbooks, please visit our Forms & Documents Page. Form 425 (1/2001)– For use by recipient committees that have not received any contributions and have not made any expenditures during the six-month period covered by a semi-annual statement. Candidate controlled committees formed for an elective office many not use this form. This statement is used to disclose receipts and expenditures as well as the filer’s total financial activity for various periodic reports. This form is also used as an amendment to update missing or incorrect information. Please refer to our Form 460 page for more information and links for this form. The paper statement is used to disclose independent expenditures of $1,000 or more to support or oppose a single candidate or a single measure in the jurisdiction of the election. Electronic filers, who make independent expenditures of $1,000 or more to support or oppose a state candidate or a state measure during the 90 days before an election, are not subject to this paper requirement. Use this form annually if you are an officeholder who earns as a part of that office, more than $200 per month. Also filed by all candidates who do not intend to spend or receive more than $2000 during their candidacy. Use this form to report a late independent expenditure. This form must be filed by fax, guaranteed overnight delivery, or personal delivery. Regular mail may not be used. State law or local ordinance also may require this form to be filed electronically. This form may be used to report a late contribution. It must be filed by fax, guaranteed overnight delivery service or personal delivery. Regular mail may not be used. State law or local ordinance also may require this form to be filed electronically. A Candidate for state or local office must file this form prior to solicitation or receipt of any contribution, or expenditure of any personal funds used for the election. Please refer to our Form 700 page in the County Clerk’s section of this website.